Hell on Mars, a new Doom game is coming! Holy Hell Knight! There is a new Doom game in the works. Yes, the game that invented god mode back in 1993 and brought first person shooting into the mainstream will return to our screens over 10 years since the last installment. While there has been no official announcement as such, the Cacodemon was let out of the bag as part of the latest trailer for iD's new Wolfenstein game 'The New Order'. 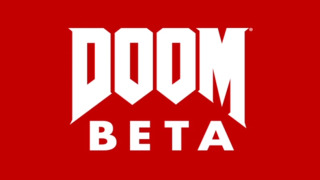 The trailer in question ends with a promise of beta access to the new Doom game for anyone who pre-orders, a savvy marketing scheme for sure. We can't exactly remember what happened in 2004's rebooted 'Doom 3' game, partly because it was a long time ago but mostly because it took place in pitch darkness and wasn't actually very good. Also they definitely never made a film based on the Doom franchise because that would have been really crap. Why don't read some more tasty blips?